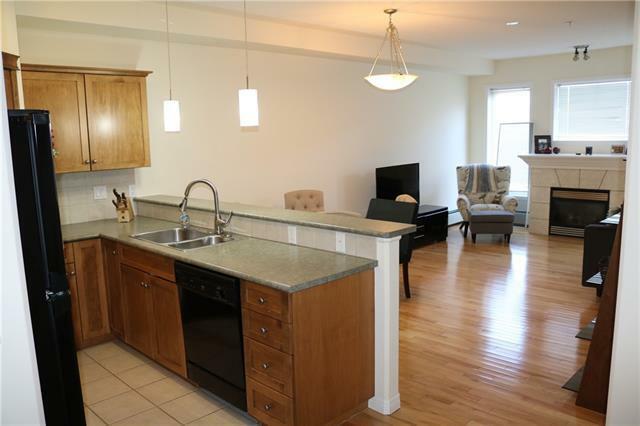 Superb top floor corner unit in the popular Waterford complex. Steps to the Repsol Sports Centre and Stampede Park. 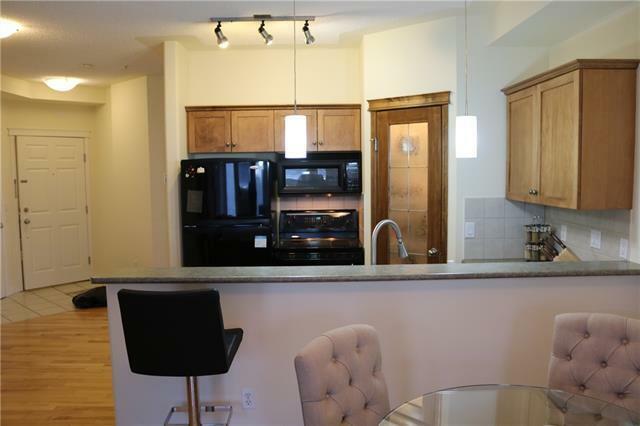 This bright and sunny apartment welcomes you into an open concept kitchen and living room. 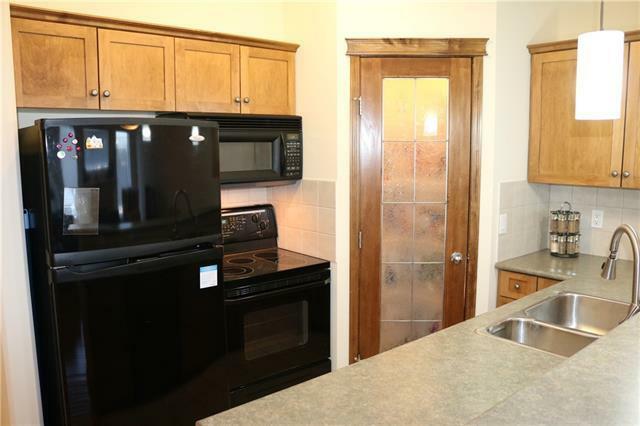 Kitchen boasts glass doored corner walk-in pantry, black appliances, including an over the range microwave, and a raised breakfast bar seating four comfortably. Nine foot ceiling graces the large living room, which includes a gas fireplace, three bright windows and an exit to the balcony (with a gas hook up for the BBQ). Hardwood flooring throughout the kitchen, dining and living room. The master bedroom has a second balcony with downtown views. There is an abundance of closet space. The 4 piece ensuite bathroom is lit by a skylite. The large second bedroom provides privacy. Bathrooms have been renovated with new tiled flooring and fixtures. Insuite laundry. Secure heated, undergound titled parking with wash bay and visitor parking. 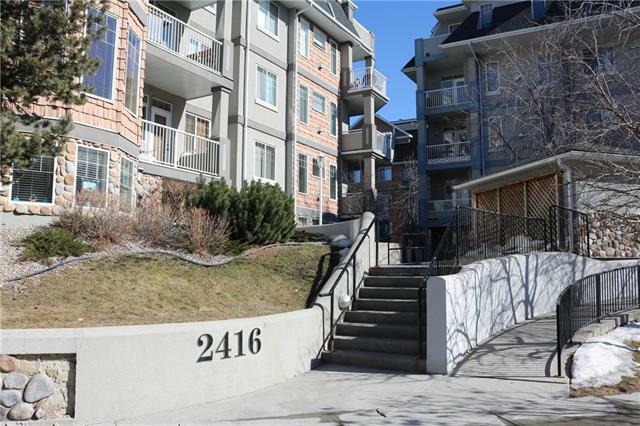 Minutes to C train, Bow river pathways, and the trendy Mission area.